Mango Salsa is tangy, sweet and colorful appetizer deep and a side dish. 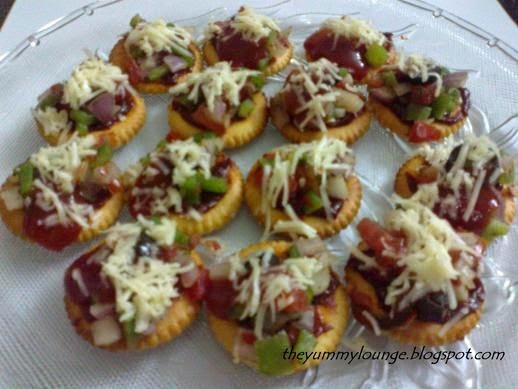 This is great served with Nachos chips (try with Whole WheatNachos Chips) or most of starters and snacks like Paneer Tikka etc. This is easy to make, delicious, juicy and refreshing Mango salsa. 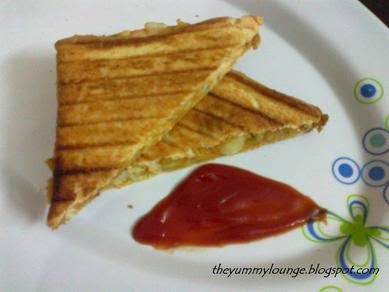 You can make this in few minutes with very few easily available ingredients. It is made from mangoes, onion, tomato, lemon juice. You can add your choice of colored capsicum as well. 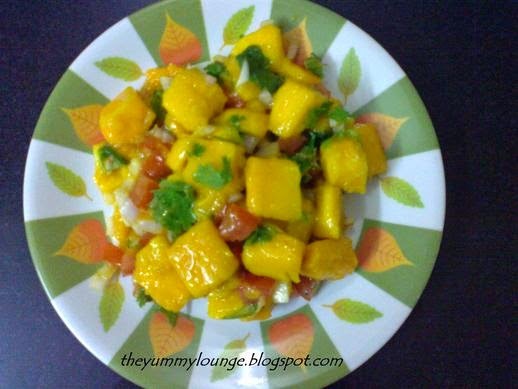 If you are looking for new style Mango Recipe or something new for your snacks and starter, here is a quick and easy step by step Recipe for Mango Salsa. 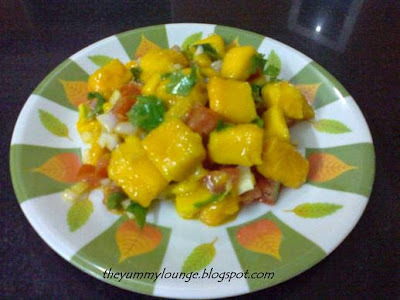 See how to make Mango Salsa Recipe. Wash, peel and take pitted mango and chop in dice shape. Mix all ingredients in mixing bowl and tangy MANGO SALSA is ready. Serve chilled Mango salsa with Nachos or as a side dish with your Main Course. Thank you Jeena suraj, would request if you too can make it and let me know your experience.